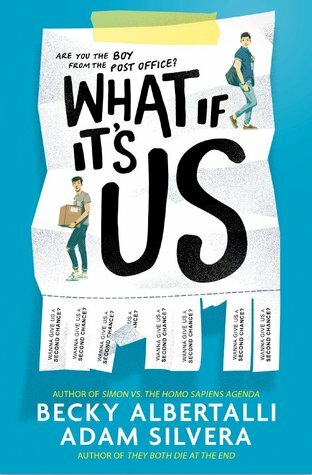 Review: Of course I absolutely loved this story, I am obsessed with Becky Albertalli's words and have recently discovered Adam Silvera too so the two of them working together was going to be an amazing story. This book has some super sweet moments but also some heartbreaking moments. These two authors are known for that and I wasn't sure how the two elements were going to work together but they really do. I love the concept of a missed connection and the search of trying to find one another was probably one of my favourite parts of the storyline. There are also threads of terrible dates, getting over your ex and of course more serious issues like racism, homophobia and anxiety also feature. I thought the more serious issues explored in the book were handled very sensitively and also as part of the the storyline, this didn't feel like an 'issues' book. I loved Ben and Arthur as characters, I had a strong sense of obligation to look after them because they're just both so sweet. 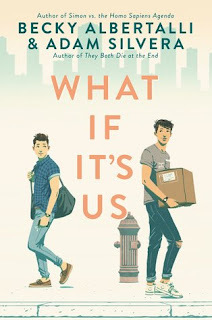 I also love the fact that this is entirely a gay romance novel featuring Jewish and non-Jewish characters as well as someone with ADHD. There are also some wonderful friendships with side-characters, some of whom I would like to see more of *hint* and all of the characters seem to really know what it means to be there for someone! The romantic moments of this book are really super romantic and make me melt just a little bit inside every time. But the real world definitely does factor in here as well, there is no such thing as a romance bubble for these two. One of my favourite features was the fact that Arthur is brand new to New York whereas Ben has grown up there and so we also get to discover the city, both the negative and the positive side, along with Arthur. I think this made the setting feel fresh and meant that it was also an influence on the storyline and more specifically Ben and Arthur's dating life. I don't think that any other setting apart from maybe another metropolis of similar ilk would have worked for this story and the description f the various meeting places and journeys that these two guys have were really wonderful. I really loved this novel and I think that if you are a fan of either of these writers then you will definitely enjoy this book. 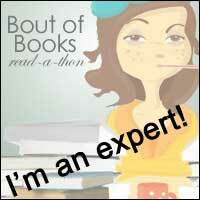 If you have never read anything by these authors then you don;t need to have, you will still love it. If you're looking for a fabulously gay romance to snuggle up with this fall then definitely do yourself a favour and pick this one up now! I still need to finish this book, but what I read so far I agree that it's really sweet and feel-good! Becky and Adam are a YA dream team.